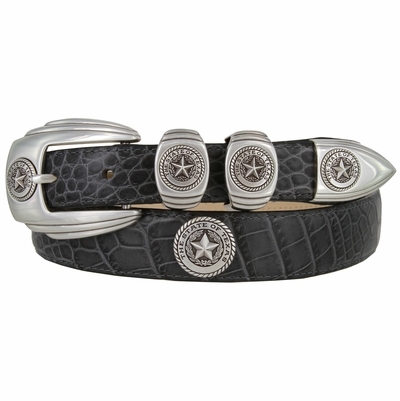 Hand crafted four piece buckle set with 5 Texas Seal Antique Silver made from a hand engraved master. 1 1/8 inches wide tapering to 1 inch. Stitched buckle and two matching keepers.